Casa Vermelha has the best of both worlds. 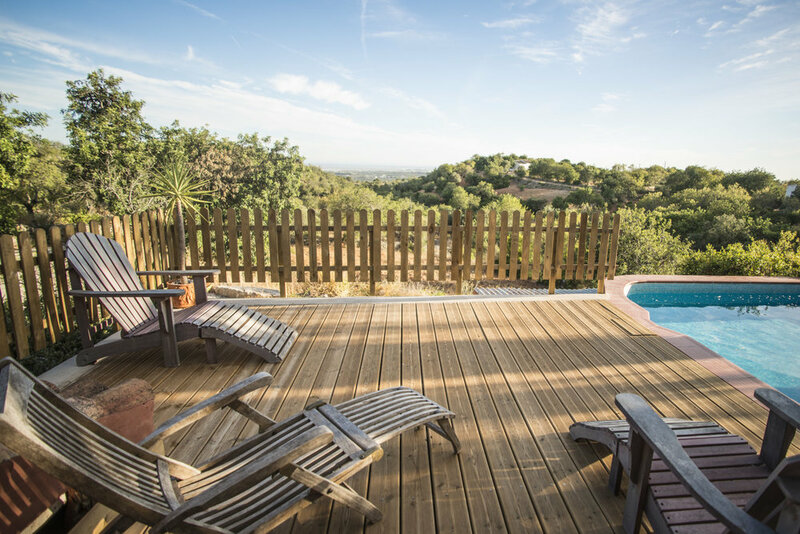 Relax on the patio in the privacy of your country house with views of the Algarve's coastline or use the house as a base to discover the beauty of the Algarve coast. The farmhouse is set on a south-facing hillside and enjoys spectacular views over un-spoilt countryside. Set on 4 acres of fields and gardens, this charming farmhouse, dating from 1916 is furnished in a rustic style. Our small farmhouse was restored using local materials, maintaining its original character while updating it to make it comfortable for our visitors. Our main house and wood cabin is only rented to one group at a time to ensure complete privacy. The wood cabin is located about 100 metres from the main house and handles any overflow of visitors if your group exceeds eight people. Walk among our fig, olive, almond and carob trees or relax by the plunge pool. Enjoy the smells of the native plants, rosemary, lavender, thyme and honeysuckle. 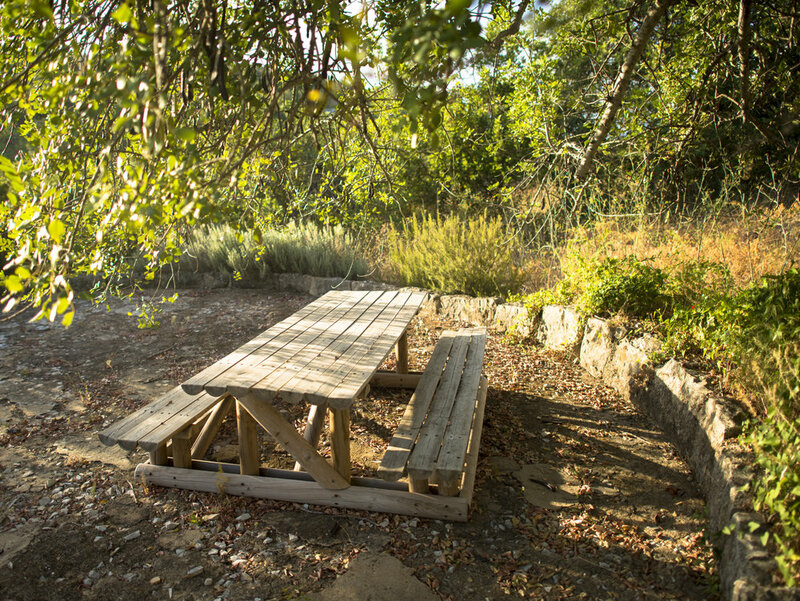 Dine outside under the covered terrace and grill some freshly caught fish in the BBQ pit. Take an evening walk up the hill to experience breathtaking views of the Algarve coastline. The Eastern Algarve offers a more relaxed, natural atmosphere for those wishing to escape the bustle of the main tourist areas while still having access to glorious sandy beaches only a 20 minute drive away. The historic towns of Faro, Olhao, Loule and Tavira are close by. The Spanish border is a 45 minute drive making it easy to plan day trips to Spain. Check out our Algarve blog for some suggestions for local sightseeing and events.